Board of Intermediate and Secondary Education DG Khan has its own schedule to hold inter class annual exams in the higher secondary schools and colleges. BISE DG Khan FA/FSc result is prepared in short time, which is started soon after finishing of the practical papers of HSSC annual exams in the science subjects. 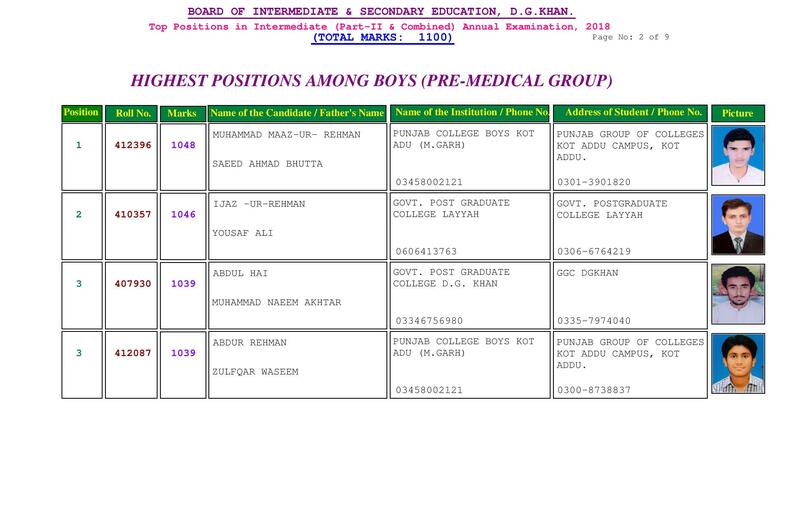 DG Khan Board Inter result is provided with detailed marks in all relevant subjects. DG Khan Board conducts inter class exams during the month of April and the practical papers are started after the written exams. 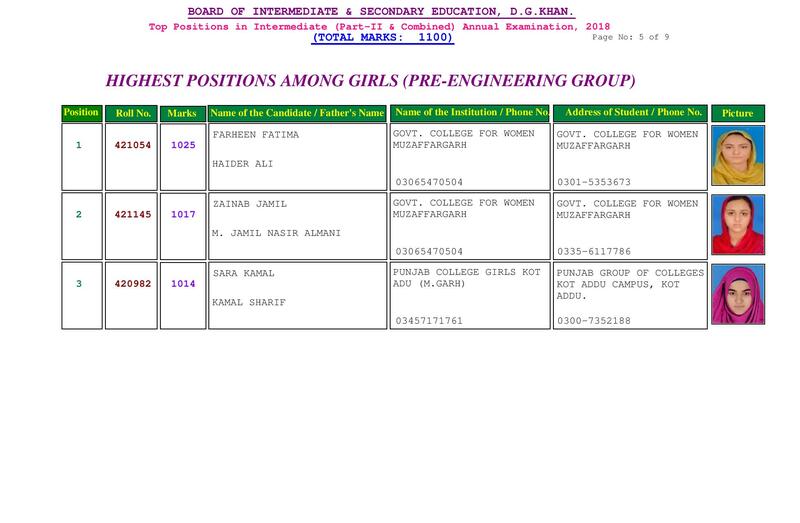 BISE DG Khan 12th class result is announced with the names of the students, who are the toppers of DG Khan Board intermediate class result. 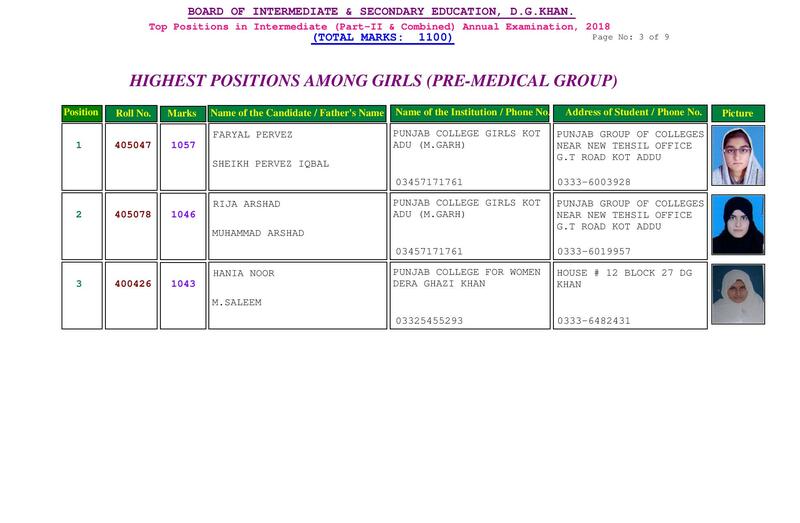 When DG Khan Board announces 11th class result, it is made available on this site with complete information for the facility and comfort of the students. DG Khan Board announces the BISE DG Khan result in the main hall and the students are awarded with prizes in the prize distribution ceremony.